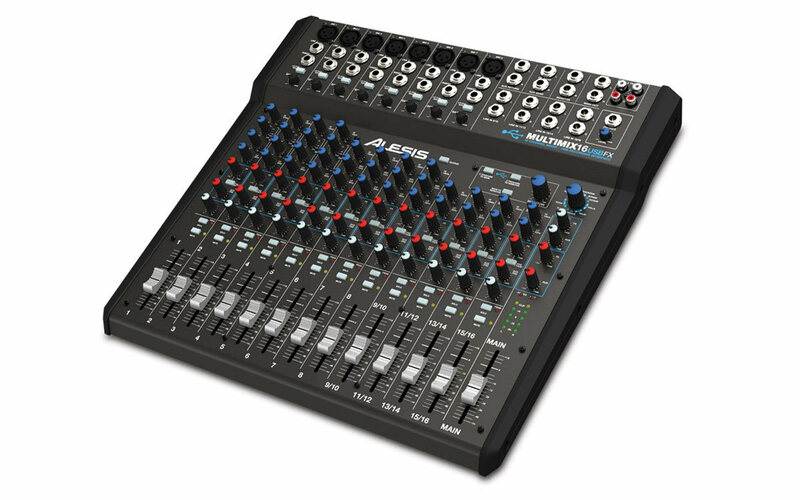 MultiMix 16 USB FX, Analog Mixer from Alesis in the MultiMix series. stompboxjon's review"Waiting for it to ship!" 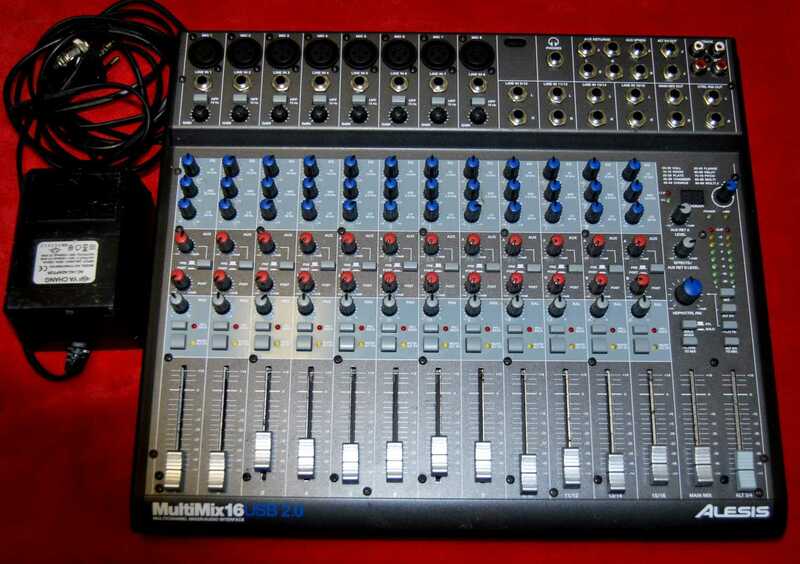 The MultiMix 16 is a mixer that has 16 channels and built in effects, it connects to a computer via USB connection and is also an audio interface. 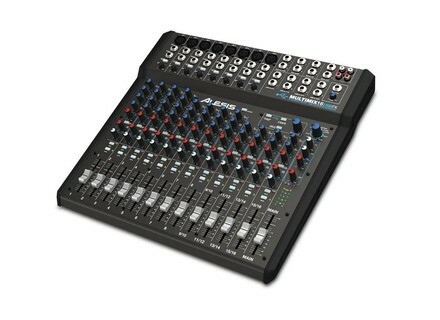 There are a lot of knobs on this unit and with the price I didn’t expect it to be as good as it was. 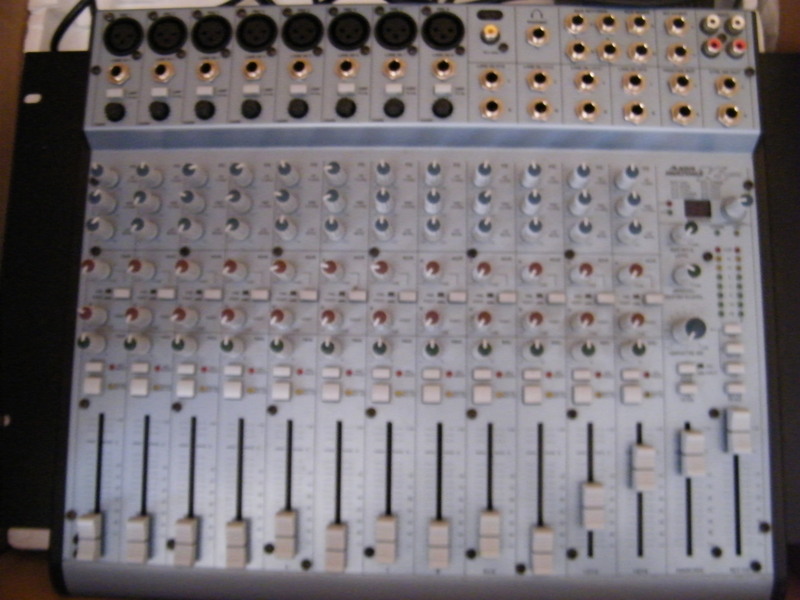 I had a chance to use this, and see another artist do a demo on it at a music conference in Tennessee not too long ago. It immediately caught my attention from watching him use it. This is a great interface to have at home and for on the road because it is well built and it has great inputs. The microphone inputs are phantom powered and there are XLR inputs that each of their own gain controls. Each channel also has its own multiband EQ and some of them have sweep-able and parametric midrange. The effects process will allow the user to add some much needed effects to their audio but they are not the main selling point of this unit. So far they have decided that this unit will come with a copy of Cubase LE software to work with and it will be compatible with both Mac and PC computers. They didn’t seem extremely confident though that it was only going to come with Cubase LE. The EQ seemed to be pretty good and the unit did not generate any hissing noises. Unfortunately you cannot purchase this and receive it yet, you can pre order it and you will be among the first to get it when they actually announce a release date but for some reason they have not announced it yet. I have it pre ordered directly through Alesis and I will be patiently waiting for the release o it. So far after having a short amount f time with it, I feel like it is really worth the money. I was able to pre order it for 300 dollars (though I am not sure if that will be the final price of it or not yet).